Getting sleep while you are going through opiate withdrawal can be one of the most challenging parts of your withdrawal process. Trust me, I know. Staying up all night kicking your legs because you’re in so much pain is possibly the worst part of quitting opiates. Subsequently, stopping insomnia from opiate withdrawal can make a huge improvement on your situation. We’re going to go through a few different ways you can get the much needed while you’re quitting opiates. If you are struggling with insomnia from opiate withdrawal, I highly recommend picking up a bottle of CalmSupport, which contains a lot of the ingredients found below in each dose. For many users, it can be extremely tempting to relapse, just so that they can get a good night of sleep. This is the absolute LAST you want to do, as this restarts the timeline for opiate withdrawal, and makes you start all over again. We want to stop using opiates, so we need to find another way that allows you to get some sleep without impacting your opiate receptors. It’s not easy, but it can be done with the right tools. Vitamin C is absolutely amazing for opiate withdrawal and detoxing your body. To get the desired effect, you’ll need to do a mega-dose with either powdered Vitamin C or capsule. There is some evidence showing that Vitamin C can block the opioid receptors in your brain. Shoot to get around 2000mg of vitamin C before bedtime. This is best used in conjunction with other remedies listed below. Benzodiazepines are another great option to get some sleep. They are also 100% safe for the majority of users. Benzos are prescribed to reduce anxiety, however – they have numerous side effects which deal with all sorts of opiate withdrawal symptoms. Not only will they allow you get some sleep, but they will deal with nausea, as well with taking off the edge from all the anxiety you are experiencing. If you have no idea what benzodiazepines are, read some of the articles on this site. Popular benzos include: Xanax, Ativan, Valium and Klonopin. Many users say that these medications are the only way they got any sleep during the withdrawal process. Clonidine is designed to correct blood pressure, however – it also has numerous effects which can help you get some sleep. Nobody knows exactly how Clonidine helps with opiate withdrawal, but there is a lot of documented cases showing that it does indeed work. My theory is that Clonidine works on the adrenaline receptors, which calms down your body and helps alleviate some of the symptoms you are feeling. My first success with getting sleep during the withdrawal process was using a combination of Clonidine and valium. 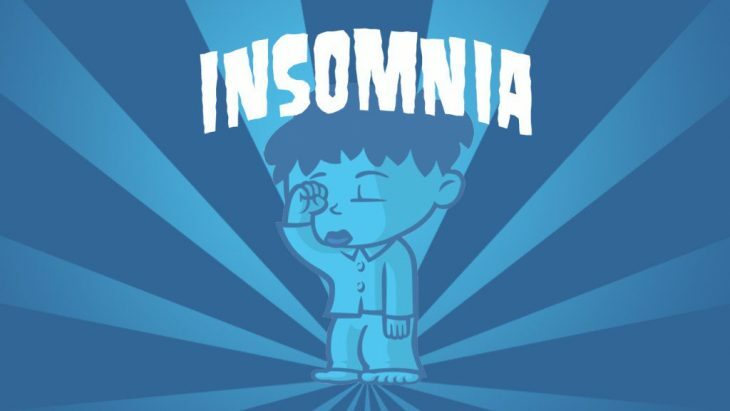 Kratom is another natural solution, which may be able to help you get some sleep! Unfortunately, it’s not a long term solution. It can delay your withdrawal if not used on a strict taper. However if you desperately need a night of sleep, it may be worth using. Kratom replicates the effects of many popular opiates, getting rid of the insomnia caused from opiate withdrawal, amongst other effects. Diphenhydramine is a great solution; it is found in Benadryl. It can help you get some sleep when there are no other options. Benadryl is also an over the counter medication, meaning you won’t need a prescription – simply go buy some. Many opiate users simply swear by sleeping pills for fixing their insomnia, but be careful, as people have said that benadryl can agitate restless legs syndrome. As you can see, there is a multitude of ways you can help yourself to get some sleep during opiate withdrawal. One of the most important things to remember is, no matter how tempting it gets, do not use opiates as a quick fix to get some sleep. If you do, you will lose all progress you have already made, and simply have to start again. By utilizing the tips and tricks listed above, you should be able to find at least one that works for you. Sleep is incredibly important to your recovery – and you need to make sure you are getting around eight or nine hours of sleep a day, minimum. I am a recovered alcoholic and drug addict who used IV heroin for about 5 years. During my journey, I came across a lot of creative ways to try to wean myself off of heroin, and eventually checked myself into rehab and got clean for good. I created Opiate.us to compile resources for others who are looking to end their opiate addiction and start a clean lifestyle. All content found on the Opiate.us Website, including: text, images, audio, or other formats were created for informational purposes only. The Content is not intended to be a substitute for professional medical advice, diagnosis, or treatment. Always seek the advice of your physician or other qualified health provider with any questions you may have regarding a medical condition. Never disregard professional medical advice or delay in seeking it because of something you have read on this Website.